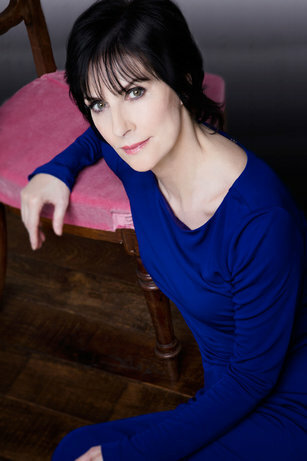 True to her perfectionism, which involves dedicating three years to record an album, Irish singer Enya breaks her silence of seven years. This 54-year-old spiritual woman, with pristine voice and enviable calm, returns with ‘Dark Sky Island’. Despite selling more than 75 million records, performing on stage can be “terrifying” when you record all your songs in the studio. The real deal. I travel a lot around Europe and Australia, where I have family. What is the story behind your new single Echoes in Rain? While Orinoco Flow (1988) was an outbound journey, Echoes in Rain is a return, a long journey home. Home doesn’t have to be a place, it can be a person or something you expect to return to after travelling for so long. There is nostalgia and excitement in this journey. You have sold millions of albums and won major awards. Is there anything you miss as an artist? Watermark and Orinoco Flow overcame my expectations. It was a very different album, a lot of people enjoyed the music even if it didn’t sound like anything else on the radio. There were instrumentals, songs in Latin and in my native language Gaelic. It was wonderful to be a success. You seem very serene. How do you find inner peace? I believe that working on something I love is a great way to find peace. It brings me great satisfaction, because I enjoy doing what I do. I’ve always taken time off when recording music. You have to find time to think and to set your priorities. Priorities. What does the world need to be a better place? People need to relax more, take some time for themselves and not make millions of decisions simultaneously. Of course, you need to make decisions, you should just not want everything straight away. People move at a frantic pace and that prevents them from seeing what is really important in life. They should eliminate stress. Painting is another of your passions. Will we see an exhibition of your work? It’s something very personal. I share my thoughts when composing music but I prefer painting to stay private, at least for a few years. You said that music was the most important thing for you, you stayed single and dedicated your life to art. Would a more ordinary life prevent you from creating music? I am a very independent woman and have pondered each step in my life. I decided to commit my time to music and have no regrets. I have done what is right for me. What have you learnt from music? Music fascinated me since childhood, since I started playing the piano. When I write a song I feel very excited because I don’t know where it will lead. The music takes me on a long journey. I would love to be able to make peace between people. Who would you most like to have a dinner with? With Pope Francis. He is fascinating and has led to many changes. And with Wilde and Tolkien. How is it to live in a castle? It is a very inspiring place. It is surrounded by trees and has a fantastic view of the Irish Sea. I am very happy to live there.